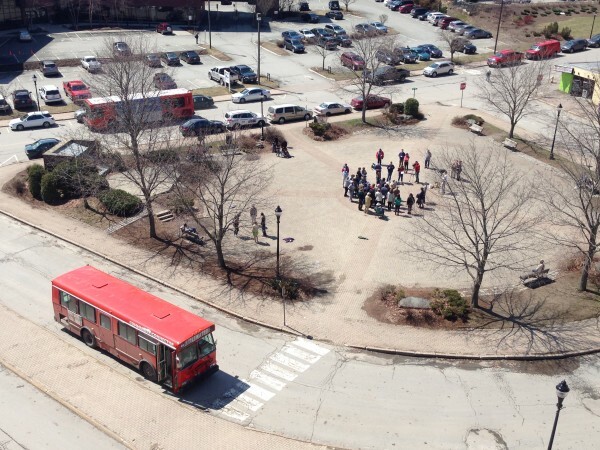 Demonstrators met in Pickering Square on Wednesday morning to encourage bus ridership in the city of Bangor. Susan Warner (right) speaks during a demonstration in Pickering Square hanging a sign that read "Transportation For All" on Wednesday morning to encourage bus ridership in the city of Bangor. BANGOR, Maine — Riders and supporters of the city’s bus service gathered at the Pickering Square depot Wednesday to launch a new effort supporting public transportation in the region. Speakers at the 11:30 a.m. rally described the importance of the Community Connector to their lives and the region’s future, and encouraged the public to use and support the service. 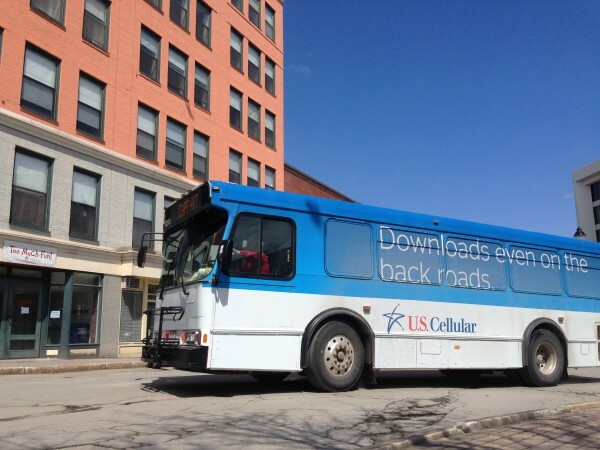 The Community Connector is operated by the city of Bangor. It also serves on a contractual basis neighboring communities, including Brewer, Veazie, Orono, Old Town and Hampden, along with area college campuses. 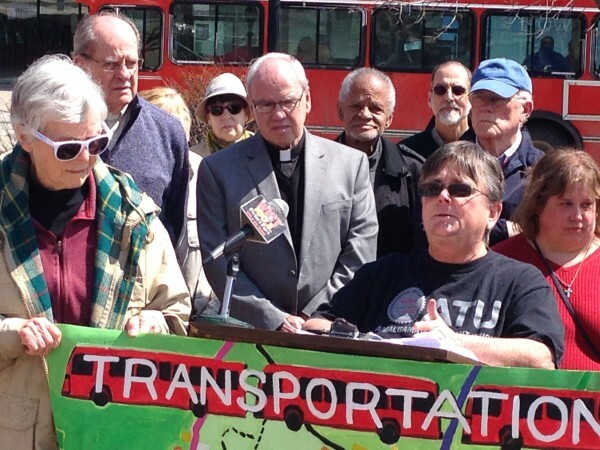 The assembled passengers, together with faith leaders, elected officials, bus drivers and members of congregations and other community groups, emphasized that unmet needs still exist, particularly for low-income workers and workers with irregular schedules. The partners at the gathering work under the name Transportation for All to survey riders and would-be riders about their needs in the hope of improving the service. Angela Bickford, co-chair of Transportation for All and the vice president of the student body at the University of Maine-Augusta’s Bangor campus, said the purpose of Wednesday’s rally was for riders and community members alike to voice opinions on what needs should be met. Bickford said changes she would like to see happen are Sunday service and longer hours. “I myself have walked many times 45 minutes or so from a job at 10 at night because there’s no bus service,” she said. Laurie Linscott, bus superintendent for Community Connector, said Sunday bus service is not high on the company’s list of priorities at this juncture. 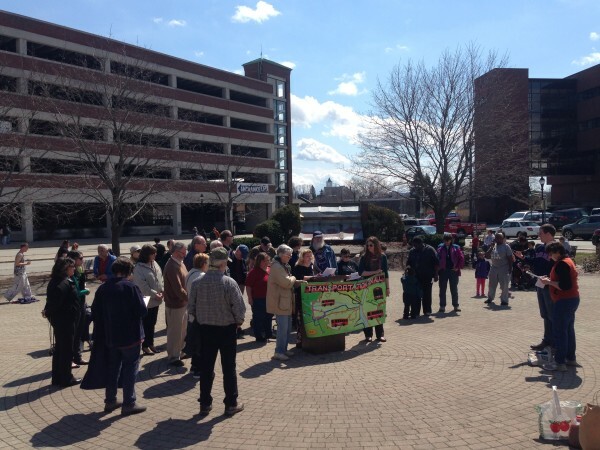 Wednesday’s other speakers included longtime Bangor bus driver Sue Warner, Bangor Councilor Gibran Graham, the Rev. Dr. Stan Moody, Pastor of Columbia Street Baptist Church and various bus riders who shared brief stories. After the rally, several participants boarded buses to begin these conversations. Transportation for All is the result of a year-long listening process undertaken by Faith Linking in Action, a new partnership of Bangor-area congregations and organizations. With the support of Brewer-based nonprofit Food AND Medicine, members of these groups came together to learn the needs in Bangor and surrounding areas and the major obstacles to addressing those needs. Transportation for All is researching problems Community Connector users have in order to learn how to support the system to better serve riders.